Wheeler Technologies can provide a wide range of balers from small grocery store units to high production, fully automated systems. 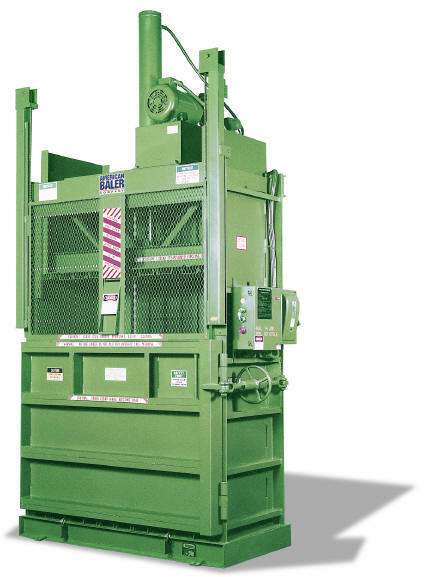 Closed door horizontal balers are designed for applications where high-volume production is not a priority, but bale quality is. There are over 50 models of closed door balers available to meet your specific baling requirements. Designed to bale cardboard, paper, aluminum cans, tin cans, newspaper, PET, HDPE, and other recyclables, these "floor space conscious" machines produce mill-sized bales without preconditioning. 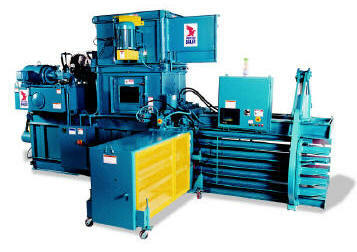 PAC series balers offer the widest range of feed openings and production capacity. It is ideal for automated baling of flexible packaging, paper trim, boxboard, SBS, corrugated, printer's waste and various other fibrous products. This series offers four different hopper dimensions and several compression forces, so you can select a model based on the density and volume of your waste stream. This medium to high production series can handle most recyclables including OCC, OCP, printer's waste, light metals, miscellaneous fibers, HDPE and PET plastics. 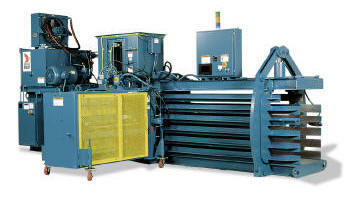 It boasts a variety of features designed to provide low operating costs and high productivity. 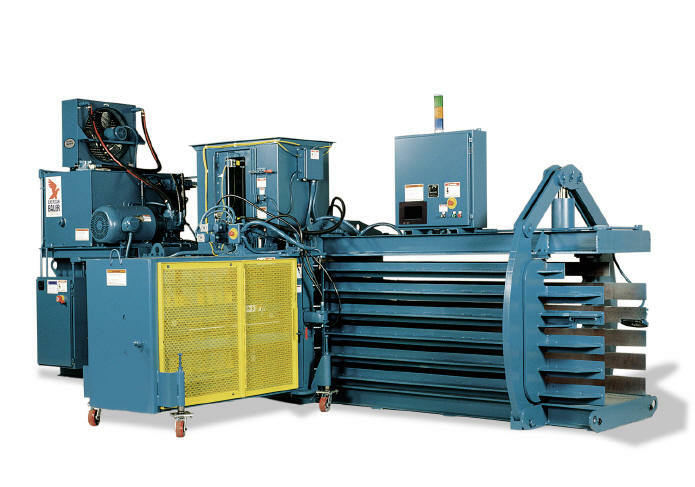 These units range from small to powerful and fast balers, capable of up to 37,500 cubic feet of displacement per hour. This series of balers can produce up to 220 bales per eight-hour day in certain grades. Vertical balers offer a selection of various sizes and options to let you job-match a baler to your specific needs, work area and budget. These units are designed to be hand or conveyor fed and the bales hand tied. Their compact design saves valuable floor space. These are used by shopping centers, warehouses, food stores or even scrap yards.